Paris Saint-Germain lost their marksman Zlatan Ibrahimovic last summer, and with Angel Di Maria facing too much criticism of late, the Ligue 1 giants are on the hunt for a new star, and according to Mirror, they have identified Spurs’ Dele Alli as an ideal candidate. The Tottenham midfielder has made unbelievable progress over the past year or so, and is even catching the eye of La Liga powerhouse Real Madrid. The 20-year-old Englishman is tied down with Spurs until 2022 following a newly-signed deal in September, though, which is why any move would solely depend on a mouth-watering offer from the French giants. 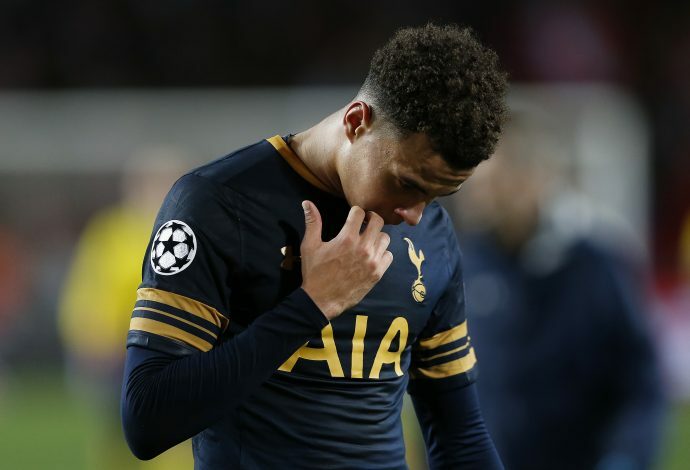 As per the report, the reigning Ligue 1 champions are willing to place a £50 million bid for Alli’s services. Furthermore, they have been scouting the youngster repeatedly since the end of last season, when his outstanding form after a summer switch from League One boys MK Dons pushed him into the England national team for Euro 2016. Alli has enjoyed a decent success with Tottenham since arriving at the White Hart Lane for only £5m in February 2015, by quickly establishing himself as a mainstay in the first team, an England regular, and as one of the brightest prospects in English football. It would surely bring a huge profit if Tottenham did let him go, but Pochettino would like to hold on to one of his biggest stars — especially as they are looking to remodel their future team around a promising clutch of young players. PSG believe that Alli ‘has a special talent’. The French champions are desperately looking to emerge as genuine contenders to win the Champions League, which is something Europa League-bound Alli would certainly adept at. The midfielder’s current wages are on around £60,000 at White Hart Lane, and PSG could find that down the back of the sofa.